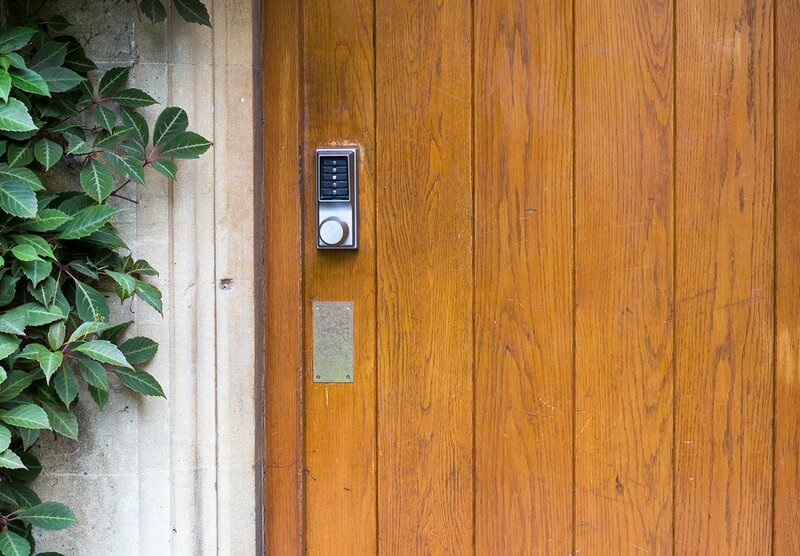 Home>How can you use electronic and digital locks? How can you use electronic and digital locks? This week, our friends from Galmier Locksmiths are here to tell us all about digital door locks. Galmier Locksmiths has fast become Bayside’s most trusted locksmith offering auto, commercial, and residential locksmith services across Melbourne’s south-east. Alex’s mobile locksmith service makes him the first choice for Bayside. Digital door locks are a modern locking device that relies on programmed codes to unlock, rather than keys. The premise of keyless entry is an appealing feature of digital locks, and they are fast becoming common in a variety of commercial and residential settings. How do digital locks work? There are commonly two ways to “unlock” a digital lock: with a code or with a fingerprint. The most common of the two, the code can contain numbers, letters, or both. It can be changed and reprogrammed which means it is great for spaces that are only temporarily occupied by the one person – think hotel rooms or even temporary gym lockers. The fingerprint sensor is understandably more useful for spaces that will not often change occupants. Some digital door locks will allow you to program a number of fingerprints (say for each member of the family). What are the benefits of electronic door locks? From careless teenagers to clumsy adults, every member of the family will enjoy the keyless entry provided by digital door locks. No more lost keys, no more key cutting; just punch in the code and you’re in! Because there is no need for a key in digital locks, there is no place for a thief to try to pick the lock. The door can only be unlocked with the right code (or fingerprint). Digital door locks complement the sleek, modern design found in newer apartment builds or office buildings. Digital door locks are just another valued part of the smart home and the Internet of Things movement. Digital locks are usually easy to install and are suitable for most standard doors. Think delivery people, nannies, real estate agents, etc. Digital door locks are a low-maintenance way to ensure guests can safely enter their designated rooms. Digital locks eliminate the risk of lost or duplicated keys, keeping a hotel safer from would-be intruders. Swipe keys, while more secure than a regular key in that they cannot be copied, can be lost or damaged and are sometimes expensive to repair. Digital locks on temporary storage lockers are great as they can reset after a designated period of time. That means staff attending a shift on a Monday can claim their locker and set a unique code for their day. At the end of their shift, the code resets, the locker unlocks and it is ready to be used by someone new the next day. Digital lockers are especially great for stores with a large employee base. Many older apartment builds have swipe key entry or simply a master key that allows entry into the building. Digital door locks are a potential substitute that does away with lost or missing keys. It’s recommended that locks be changed between each tenancy in a rental property. This ensures safety for both the landlord and offers a new tenant the utmost piece of mind.